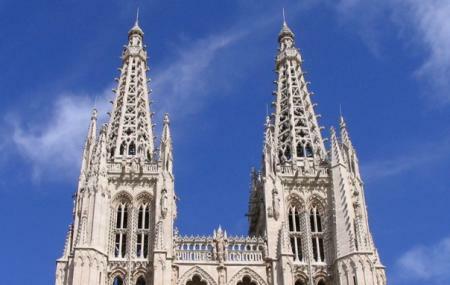 The title Heritage of Humanity has been rightly conferred upon the Burgos cathedral in the year 1984. The duration of construction of this church lasted from the year 1220 to 1260. The high altar: The high altar was constructed in the 13th century and has been an important attraction since then. Chapel of the Constable: This was one of the modifications from the 15th and 16th century. The Flycatcher Statue: This is an interesting attraction and the statue opens its mouth at the ringing of every bell. The sepulchre of Muddara: This is a statue of the stepbrother of the Seven Princes of De Lara. The spot has many other attractions such as Door of El Sarmental, South arm of the transept, Door of the Cloister, Chapel of the Visitation, Chapel of St Henry, Chapel of St John of Sahagún, Chapel of the Relics, Chapel of the Presentation, Chapel of the Holy Christ of Burgos, Golden Staircase, Chapel of San Nicholas, Transept and dome and the Chapel of St Gregory. All of these transport visitors back in time and also creates a tranquil feel within. It would be ideal to go during a chapter house mass. 6 € for senior citizens. Worshiping area open time – 8.30 am to 1.30 pm and 4.30 pm to 8 pm. How popular is Burgos Cathedral? People normally club together Paseo Del Espolón and Iglesia De San Nicolas De Bari while planning their visit to Burgos Cathedral. People also prefer to start their day with Burgos Cathedral.